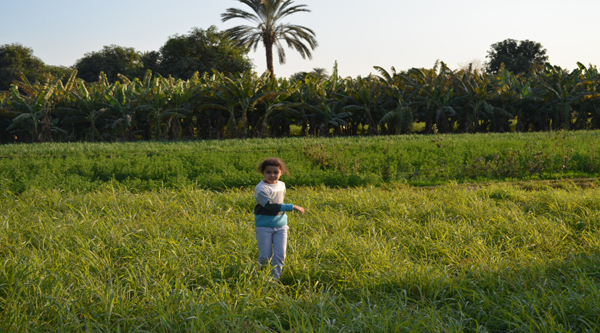 Egyptian countryside is very beautiful and rich of plants and trees. 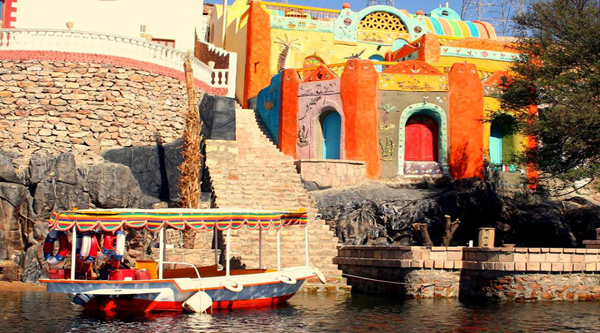 People living along the Nile have beautiful villages and decorated houses. 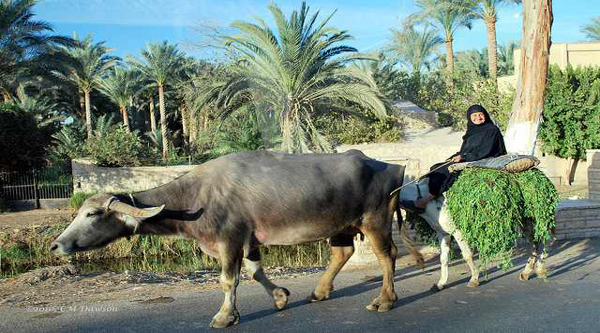 Their traditions are differ from those who live in big cities. Find out what their culture has to offer us. 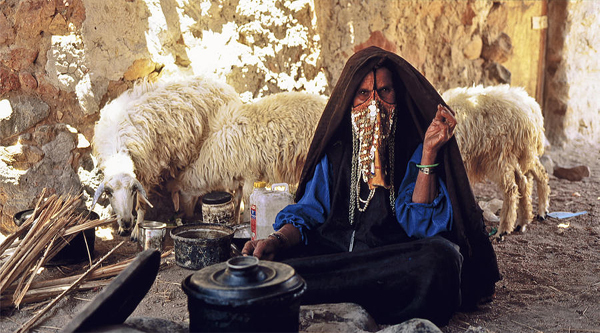 In villages most of Egyptian live in mud-brick homes, their thick walls insulating against the afternoon heat. Flat roofs, exposed to the northern evening breezes, serve as cool sleeping quarters as well as storage areas. Villagers plaster the outer walls and often trim them in blue, a color they believe wards off the evil eye. As a man becomes richer, he can add a second story to his house perhaps for his married son. Those villagers who have made the journey to Mecca paint the legend of their trip on the outer walls of their homes. Such hajj houses, along with the mosques, are the most distinguished buildings in a village. Some villagers build ornate pigeon coops close to their homes, using the birds as food and their droppings to fertilize crops. Many houses still have dirt floors and lack electricity or running water; women with jars balanced on their heads make the trek to the community well, and children with donkeys haul the precious liquid in jerry cans. All this said, government sponsored building programs have also brought newer style residences and utilities to some villages, particularly those outside the Nile Valley in the Oases and the Red Sea coastal areas.